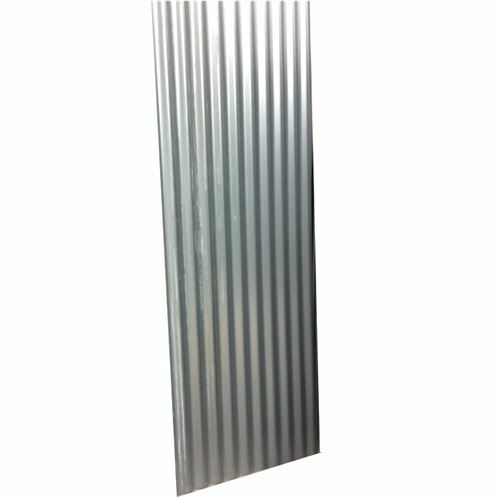 10 foot (3.04M) Galvanised steel corrugated sheeting (also known as tin and iron sheets) are a long established low cost roofing sheet, and also popular for temporary hoardings that need to be secure. These sheets are 0.5mm thick, and 790mm wide, giving 740mm cover once overlapped. Please note these sheets produce a white dusting on them as they oxidise and this is normal, they are also very sharp and should be handled with care. 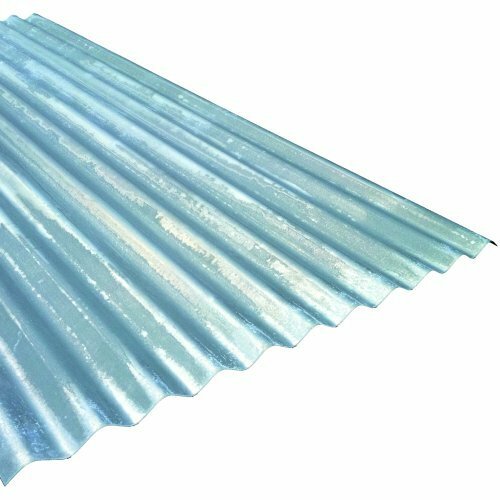 If you require light panels for the roof then you must use the 3 inch iron polycarbonate corrugated sheets and accessories to match.